Thibaud joined ECES in 2017 as the Capacity Building Adviser of the project Preventing Electoral Violence in the Southern African Development Community (PEV SADC). He has been co-editing a Handbook on Electoral-Related Violence in the SADC region and conducted research on electoral assistance, prevention and mitigation of violence and SADC region. 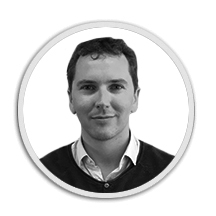 Thibaud has previously been working extensively on Geopolitics, Institutional Capacity Building, Gender, Conflict Resolution, Economic Development, Trade, Elections and Democratic Governance in the Central African and Southern African regions since 2006. He was based in Botswana for eight years covering regional matters related to SADC. He worked as a Regional Officer for the French Ministry of Foreign Affairs, the European Union and the British Foreign and Commonwealth Office in connection with the Department for International Development (DfID) regional offices. Thibaud has been advising international actors on how to work and to build partnerships in the SADC region as well as working closely with Regional bodies, national governments and networks of Non-Governmental Organisations (NGOs) in the SADC region. Thibaud worked in 2006-2008 for EurAc, the European Network of active NGOs in Central Africa (DRC, Rwanda, Burundi), based in Brussels, Belgium. Languages: English, French, German, Portuguese and limited Setswana.